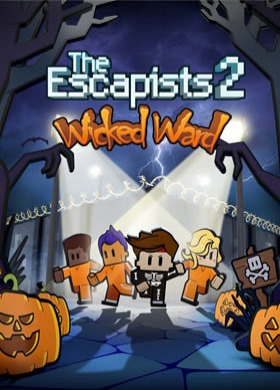 NOTICE: Requires the base game The Escapists 2 in order to play. Activation key must be used on a valid Steam account. Requires internet connection. About the gameThings have taken an odd turn in the locked off wings of an abandoned hospital. A mad scientist and his hoard of undead guard their terror-tory within the gothic halls. Outside an ominous sky of thunder, rain and lightning blanke… ts the surrounding woods. Once again, you’ll have to craft, fight and scheme your way to freedom from this spooky supernatural slammer. Your ghoul is to escape at all costs! Key Features A brand-new horror themed map to escape New Halloween themed customisations New items and craftable recipes System Requirements Windows - Minimum OS: Windows 7/8.1/10 (32-bit versions) Processor: Intel Core Duo E6600 @ 2.4GHz Memory: 4 GB RAM Graphics: Intel 4400, GeForce GT 8800, AMD Radeon HD 4650 DirectX: Version 11 Storage: 4 GB available space Sound Card: Windows Compatible Sound card Windows - Recommended OS: Windows 7/8.1/10 (64-bit versions) Processor: i5-2500k@3.3GHz, AMD FX 6300 3.5GHz Memory: 4 GB RAM Graphics: GeForce GTX 750, AMD R7 370 DirectX: Version 11 Storage: 4 GB available space Sound Card: Windows Compatible Sound card Mac - Minimum OS: OSX 10.10 Yosemite Processor: Intel Core i5 @2.7Ghz Memory: 2 GB RAM Graphics: Nvidia GT 640M, AMD Radeon HD 5750, Intel HD Graphics 6100 Storage: 4 GB available space Linux - Minimum OS: Ubuntu 14.04, Mint 18.2 Processor: Intel Core i5 @3.3Ghz Memory: 4 GB RAM Graphics: Nvidia GTS 8800, AMD Radeon HD 4650, Intel HD Graphics 6100 Storage: 4 GB available space The Escapists 2 developed by Mouldy Toof Studios and Team17 Digital Ltd © 2017. Published by Team17 Digital Ltd. All trademarks, copyrights and logos are property of their respective owners.